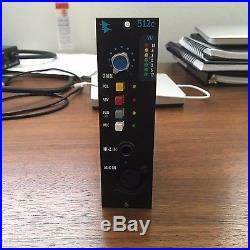 API 512c mic preamp in mint condition. I still haven't found a source that sounds bad through it! Mic preamplifier with 65dB of gain. Line/instrument preamp with 50dB of gain. LED VU meter for monitoring output level. Traditional API fully discrete circuit design. Uses the famous API 2520 op-amp. Let me know if you have any questions. The item "API 512c Classic Mic Pre Amp (500 Series)" is in sale since Tuesday, September 06, 2016. This item is in the category "Musical Instruments & Gear\Pro Audio Equipment\Preamps & Channel Strips". 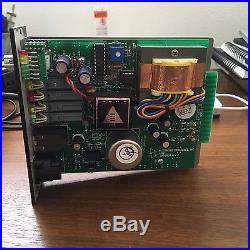 The seller is "rp4200" and is located in Los Angeles, California. This item can be shipped to United States.